Find this seasons transfers in and out of QPR, the latest transfer rumours for the summer 2019 transfer window and how the news sources rate in terms of rumour accuracy for QPR FC. QPR are facing competition from Nottingham Forest, Norwich City and MLS clubs DC United and New York City to keep hold of Angel Rangel, whose short-term deal only runs until January. Norwich City extend their lead atop the EFL Championship with a win over QPR for their seventh straight league win. 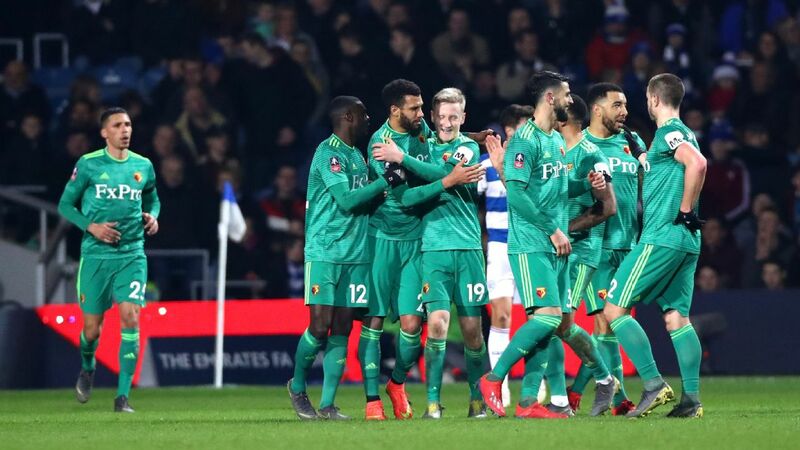 Etienne Capoue&apos;s goal right before halftime against Queens Park Rangers would be all Watford would need to progress to the FA Cup quarterfinals. QPR&apos;s Nahki Wells bundled in a Luke Freeman corner to force their 4th round tie with Portsmouth into a replay at Loftus Road. QPR get their first FA Cup win without needing a replay in 22 years, downing Championship-leaders Leeds United.